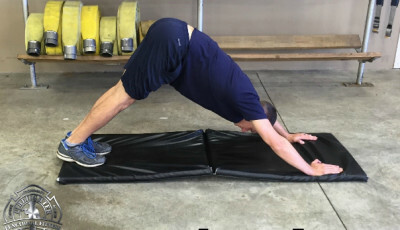 One of the excuses we hear most often when it comes to avoiding fitness is that “proper equipment is not available.” Well, when it comes to Firefighter Functional Fitness, this is far from accurate. 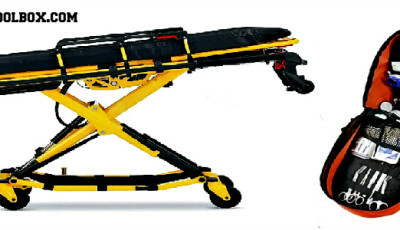 In this article series we’ll share with the best pieces of functional fitness equipment for the fire station and why they are so effective. Fire hose can be used for a plethora of functional fitness exercises. 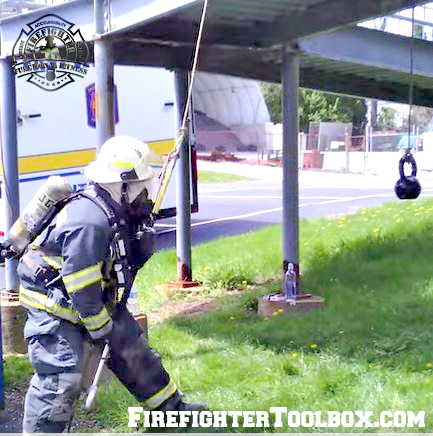 Using The Big 8 of Firefighter Functional Fitness as our guide (core, cardiovascular capacity, flexibility, push, pull, lift, carry, and drag), exercises such as battle hose, hose hoists, hose pulls, hose crawls, hose drags, and hose bundle carries are all effective in improving your fitness for duty. 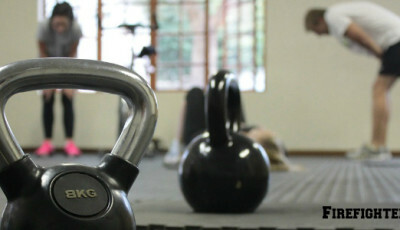 Hand tools such as sledgehammers, axes, and pike poles are very useful for functional fitness training, especially when regular gym equipment may not be available. Use a sledgehammer to strike a tire, or fasten a weight to a pike pole with a rope to simulate ceiling pulls. Heavy equipmrnt such as foam buckets, rescue tools, and/or power saws can usually be found around the station. These are great for improving our carrying capacity. For example, use foam buckets or power saws for farmers carries and combine them with crawls on your return trip for added benefit. 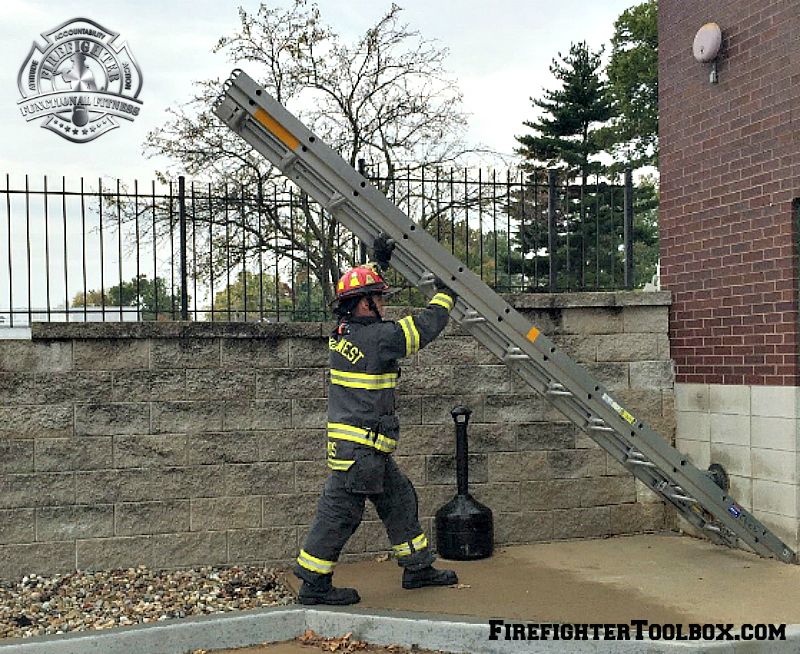 Ladders can be used in a variety of ways for functional fitness: ladder raises, ladder drags, ladder climbs, ladder lifts, and ladder carries (at-the-hip, on-the-shoulder, over-the-shoulder). You can even wrap hose around the tip of a ground ladder for added weight when performing front squats to overhead press. Large tires can be used for much more than as an object to strike. 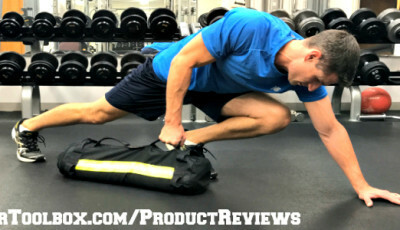 Securing a rope to a tire and either pulling or dragging it has tremendous benefits in terms of cardiovascular capacity and functional strength. 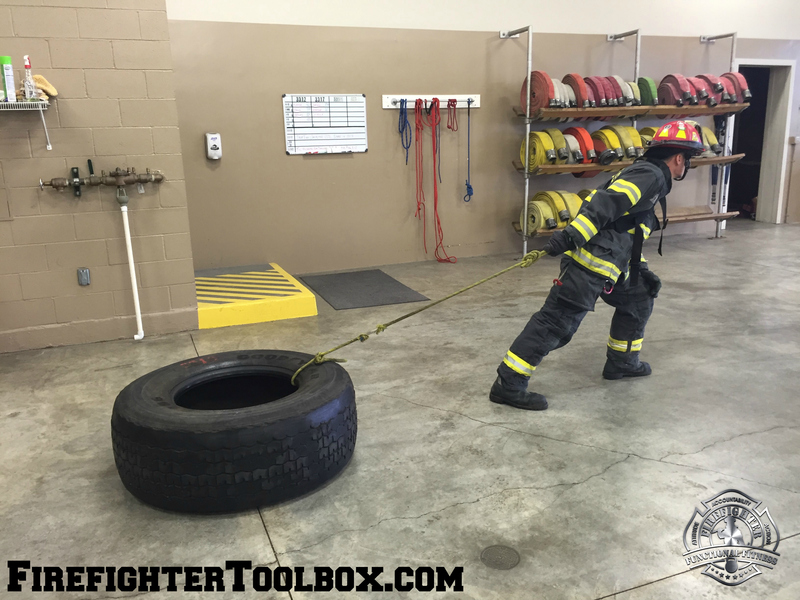 Many firefighters like to flip tires “end-over-end” to simultaneously improve lifting and cardiovascular capacity. Just make sure to use proper lifting form and avoid lifting excessive weight. In part 2 of this article series, we’ll cover the remaining “Top 10.” You can read it here. 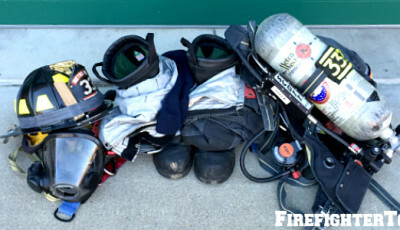 Take your fitness and health to the next level with Firefighter Functional Fitness. 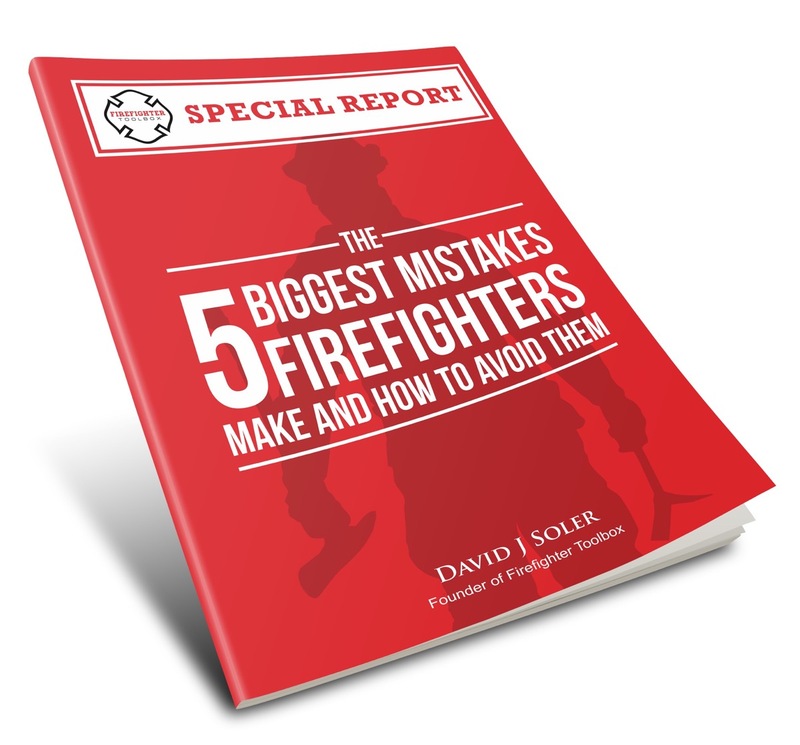 Learn more at FirefighterFunctionalFitness.com. Great Website and podcasts. My Question is this I am 36 years old and just got hired as a Vol Firefighter and love it what are my chances of getting full time at my age?